For the first time in a long while, the Chevrolet Corvette becomes a mid-engine car again. Just what engine it is going to be remains unknown, but General Motors used to test a prototype version of a twin-turbo V8 engine a while ago. Reportedly, the unit proved so powerful it actually bent the aluminum space-frame chassis it was mounted upon. 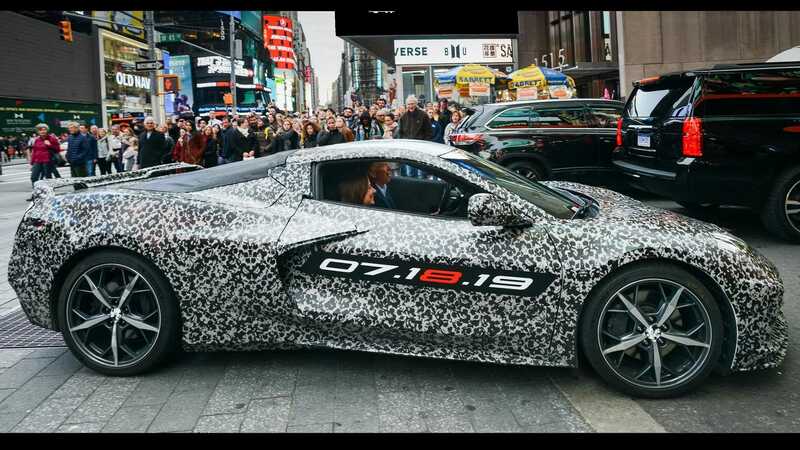 It is rumored that the Corvette C8 will ship with a selection of naturally aspirated and turbocharged V8 engines linking to the ZF 8-speed automatic transmission the likes of which you can find in Porsche cars. A hybrid or an AWD version is also possible. Based on the latest patent applications by General Motors, the car might also get an active aerodynamic kit featuring active side skirts and rear wing. Other possible features include a suspension lift system and power-assisted doors that counter the effects of strong wind. The eighth-gen Chevy Corvette will enter production closer to September 2019 and arrive priced at U.S. $60,000 - $70,000.